Being a snack guy, it’s hard to find some alternative to Lara bars and what have you, but this has so many variations that also help me create my own recipes! The app is smooth, and is super easy to navigate through. Excited to try so many good foods to help boost my staples around the kitchen. Great recipes. Intuitive flow. Gorgeous photography. And my favorite feature, the one-click add to grocery list. Love it. I didn't know if buying this app would be worth it since you can find so many recipes online for free, but I'm definitely glad I bought it. 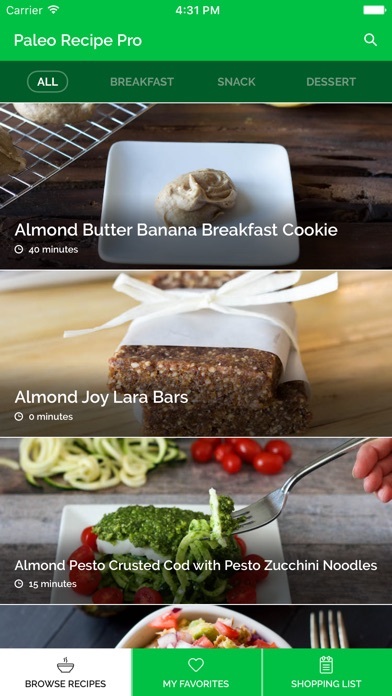 The app is super cleanly put together and the recipes are great. The pictures of the food clearly show what you're making and are very high quality. All the instructions are clear and easy to follow. 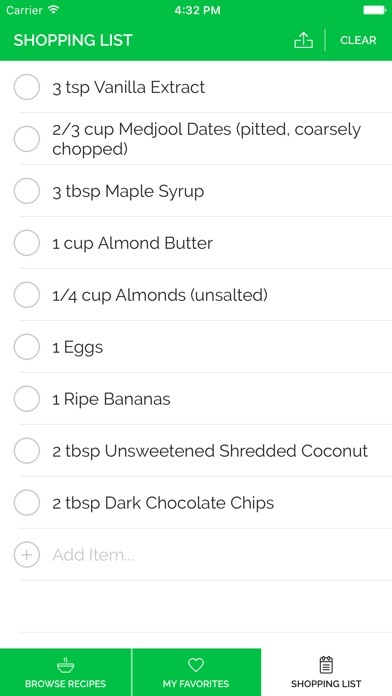 I'm looking forward to more recipes on the app soon. Well done! This app has helped me and my wife eat healthy. It’s easy to use and very informative. Great work! I’ve been looking for an app like this for years. So happy I downloaded and began utilizing it immediately. Now my whole family has me bugging them to download too! Best app of its kind on the market, easily. Great layout and very easy to use. Perfect way to keep my diet from getting monotonous. Plus makes going grocery shopping a no-brained since all the ingredients can just be added to the shopping list. Why do I only see limited recipes? For 2.99$ I am expecting more..
Not keeping up with IPad updates. I really liked this app, but it doesn’t seem it be keeping up with updates from Apple. Not working on my IPad. 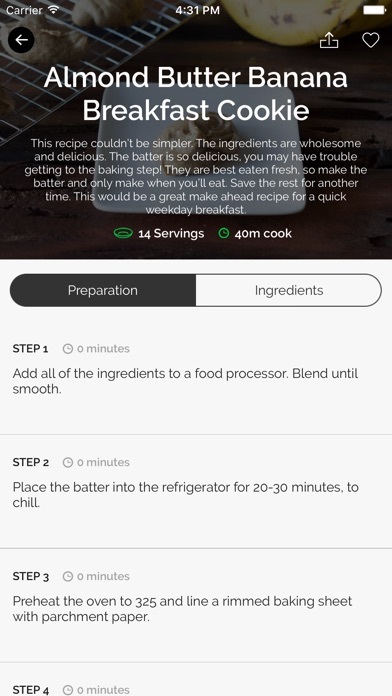 This App crashes repeatedly every time you open it and click on a recipe. DO NOT WASTE YOUR MONEY! I just now downloaded this app...a friend recommended it. I paid $2.99. I browsed the app. It looks great. But... every time I click on a recipe, the app crashes & closes. Is there anyway to fix this issue? Can I get my money back?